We understand the need for our clients to get around from point A to point B. We are your extended family. We take pride in what we do - working with you and or with your family to develop the best care plan for you. Our expert staff will guide and provide expert solutions designed for your personalized care throughout the process to give you peace of mind. Once we know your needs, we will place the most qualified and compatible caregiver to service your needs 24/7 or as needed basis. Caring & Compassionate Companionship is our business and our driving force. Being at Home is Better when it comes to elderly care services or in-home care, you want to make sure you choose the agency and the caregivers that fit best with your needs. US Home Care Agency is just the perfect fit for your needs. Our agency has an exemplary staff, and support team that provides a wealth of personalized in-home care services. We provide care at the comfort of your home including those with Special needs, assisted living and long term care. We provid helping hands to families that need assistance to care for love ones. Our mission is to help ensure you, or your loved one, maintain independence at the comfort of your home. Caring at home with family and friends is the best care. 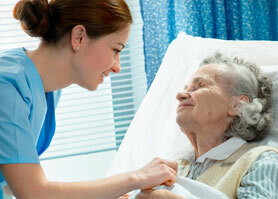 At US Home Care Agency, we provide superior caring services. We believe that care giving is just more than a job, it is a way of life. Our caregivers have personal relationship with each client and are valued by the people, families, and organizations we serve. Everyone deserve a break, especially if you are a primary caregiver. We provide you with supportive respite care services that allow you to recharge. Working full-time and caring for my mother-in-law was becoming really difficult. The care US Home Care Agency, Inc. provides her really helps her and helps us maintain our lives, too. We are passionate at what we do whether it's companionship care, respite care, transportation assistance, or live-in care, you are sure to receive the best quality care that you deserve from the comfort of your home or living environment from our professional caregivers. results for their love one.